SCEE’s gamescom 2012 PlayStation conference has just ended, and believe it or not, there were quite a few nice announcements all around. Media Molecule revealed an incredibly charming new platformer for the PS Vita by Media Molecule called Tearaway which uses the Vita functions in very neat ways. Sony also announced that PlayStation All-Stars Battle Royale, Sly 4 and Ratchet & Clank: Full Frontal Assault will Cross Buy games, meaning that users that buy the PS3 version will get the PS Vita version as well. A new Killzone for the Vita was revealed as well, called Killzone Mercenary and EA confirmed that FIFA 13 and Need for Speed: Most Wanted were also in development for the PS Vita. PS one Classics are coming later this month too. Call of Duty: Black Ops Declassified for the Vita will be released as part of a bundle (in Europe at least) and the game will feature 4 vs 4 multiplayer and a story that takes place between Black Ops 1 and 2. Sony focused a bit more on PlayStation Mobile games (formerly PlayStation Suite) which will offer smaller games for the Vita and approved Android phones and tablets and be tied to your PSN account which allows you to buy once and play them on all the supported devices. PlayStation Plus is getting a bump in the cloud storage department with an increase to 1GB in the near future, and it will also be coming to the PS Vita. Even the PlayStation Move is getting decent support with a handful of new games, including additional Wonderbook titles. Until Dawn appears to be a very Cabin in the Woods-esque horror, slasher title that uses the PS Move as a flashlight and other various functions. Sony Japan Studio showed off a new title by the name of Rain (working title) “a story of an invisible world revealed by rain” is the tagline. Japan Studio is also working on Puppeteer, another very interesting PS Move game. The game takes place in a magical theater with the player as the puppeteer controlling a kidnapped boy turned into a puppet who can swap his removable, magical, wooden head. Last but not least was The Last of Us, and as expected, the new footage looked incredible. Call of Duty: Declassified was also on display in video form and CoD players and PS Vita fans I doubt will be disappointed with what Activision has put together thus far. 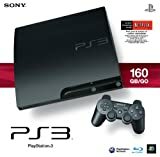 And no, the extra slim PS3 was not revealed. Stay tuned for more coverage and a whole lot of media very soon!